Nigerian writer Chinua Achebe in January 2009. NPR's Ofeibea Quist-Arcton reports from Lagos, Nigeria, on the death of one of Africa's greatest contemporary writers. 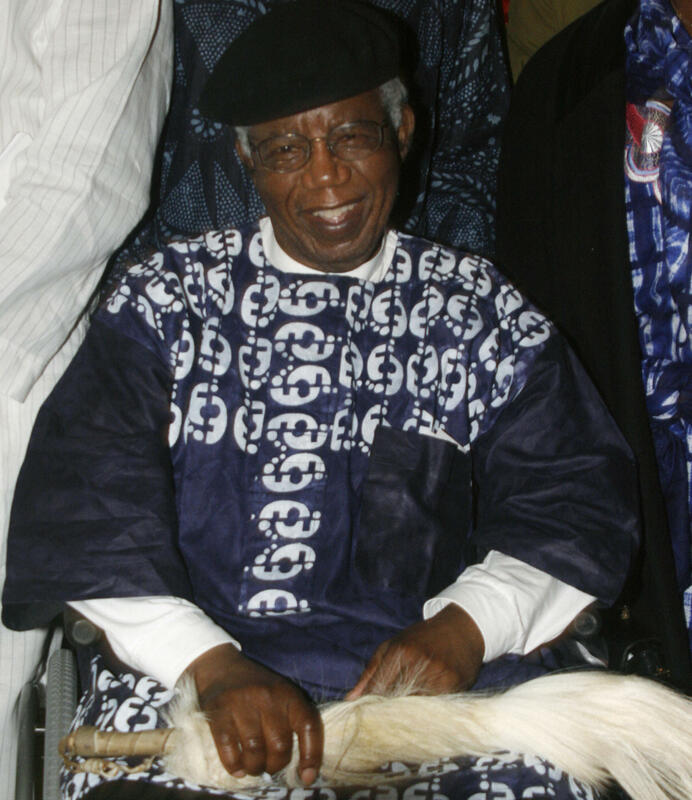 Quoting his publisher, AP, CNN, and the BBC are reporting Chinua Achebe has died. Chinua Achebe who taught at colleges in the United States made literary history with his 1958 best-seller Things Fall Apart, a sobering tale about Nigeria at the beginning of its colonization. Achebe, 82, played a critical role in establishing post-colonial African literature and is known to students all over the continent for his seminal novel, Things Fall Apart. Achebe's masterpiece has graced countless school and college syllabuses and is translated into fifty languages worldwide. It is often cited as the most read book in modern African literature and has sold more than 12 million copies. Achebe also was an essayist and an outspoken critic of successive Nigerian governments, poor leadership and institutionalised corruption. He passed up national honors in protest. Achebe taught Africana Studies at Brown University and before that at Bard College in New York. Many of his fans feel that the award-winning writer was passed over for and should have won a Nobel prize. In a 2009 interview with All Things Considered, Achebe talked about his book in relation to Joseph Conrad's 1902 novella Heart of Darkness, which looked at colonialism through the eyes of an Englishman. Achebe said at first he was seduced by the book, but then "realized how terribly terribly wrong it was to portray my people — any people — from that attitude." Things Fall Apart presents colonialism from the perspective of Africans. Correction at 12:09 p.m. ET. An earlier version of the post said Things Fall Apart was set at the beginning of Nigeria's independence. It was actually set, at the beginning of its colonization.